You’ve seen bubble football or Zorb football on TV, YouTube and Facebook. You’ve read about it in the press. Your friends or family might even already have experienced it. Now you can hire the complete bubble football package for your next event to make it something truly memorable! 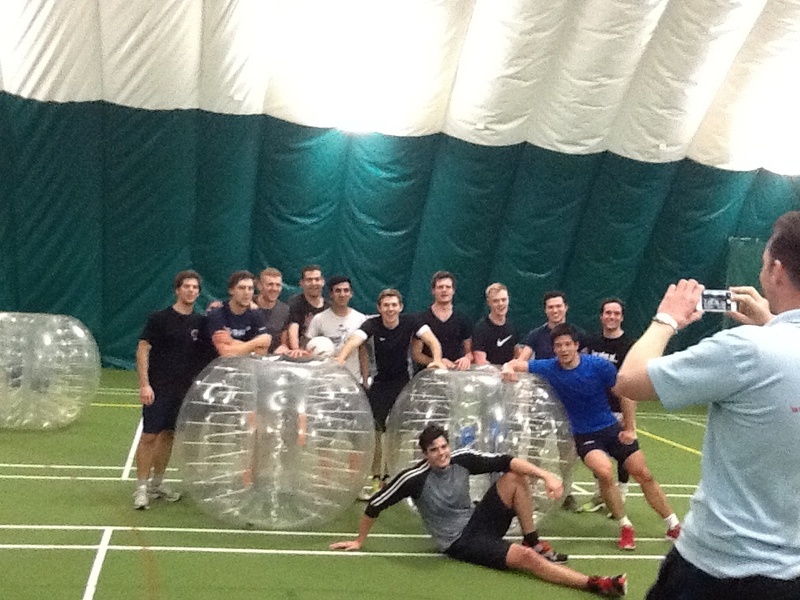 Book your bubble football experience today, contact us on 020 3633 2155 for more details! Please note we have 136 venues nationwide. Listed below are our most popular Zorb football venues, but if they don’t cover your area please fill out our contact page and we will find your closest venue. All listed venues have sports bars, changing rooms, and shower facilities. Zorbing Hire UK was the first company to introduce the fantastic Zorb to the UK. Since that time, we have constantly and consistently ensured that our service is the very best available anywhere. We take huge pride in being the best in the business and rightly so! After all, our reputation is built on the success of our events. You don’t get a ‘dress rehearsal’ with a big event! We have a number of great venues already set up for Zorb football and Zorbing fun and all are ready to host you and your guests. Alternatively, we can come to you. Our exceptional service really is second to none and offers excellent value for money. At Zorbing Hire UK we only use best quality equipment with train staff to ensure you have the best experience possible. We change our equipment every 3 months this way the Zorb balls are always clear, safe and perform at their best. For a professional Zorbing activity, book today. Contact us on 020 3633 2155 or fill out the form below! How Long Are Zorbing Sessions ? Session times are based on the number of participants. 1 hour is for up to 20 people and 90 mins is for up to 40 people. All sessions include pitch hire, fully-trained (and CRB-checked) staff, the use of venue and comprehensive insurance cover. This is a very safe sport, but if you book with us, all our staff are fully trained in first aid, and carry first aid kits with them for you peace of mind. Pitch hire with all the equipment your team would need. most of our venues also have sports bars available to use for as long as you require before and after your event. 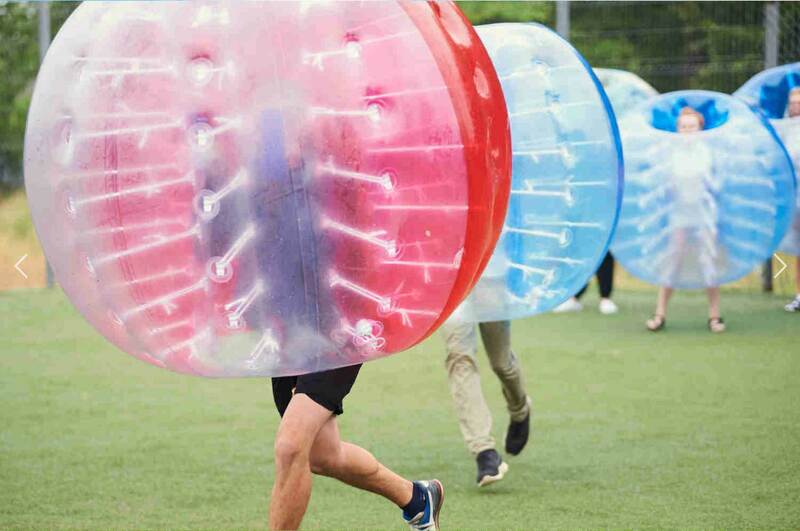 Please bear in mind that Zorbing, bubble football and other Zorb games are fast paced and very tiring so games only run for 5 minutes at a time. Then we switch and rotate teams. So plenty of games had by all in a short time. All Zorbing Hire UK sites have changing and showering facilities. There is also a Sports Bar showing live sports and 3D TV at most locations. Great new indoor venue in the heart of London with state of the art facilities and a restaurant / sports bar! Excellent new location in the heart of London. 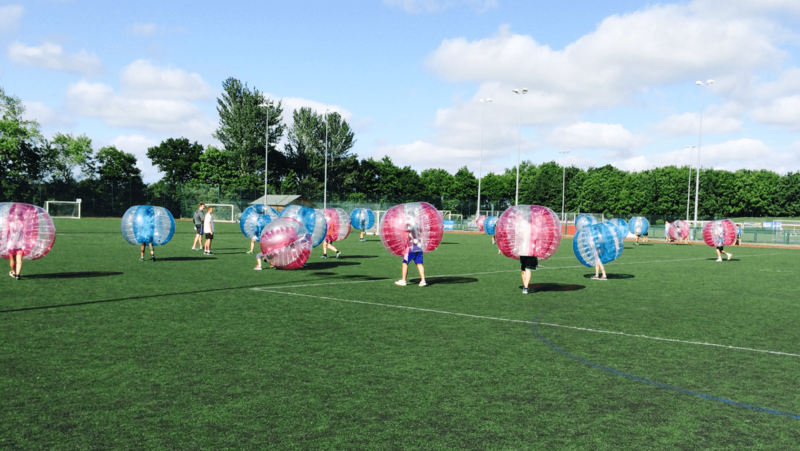 Bubble Football is a fun and dynamic game where you and a group of friends are put into team where you can go against each other in a regular football game - accept you are in a giant zorb ball throughout the game! We use the zorb footballs to play many other games to such as bull dog, sumo, last man standing and more to create lots of Zorbing fun.